Memorizing multiplication facts gets pretty monotonous, so I like to make it fun. I try to mix up practice time with drills and games, but we usually start with a drill every day. It’s fun to see the times get faster and faster. Click the download box below to open the free pdf files, and click the download link if you would like an editable excel version of the progress chart. 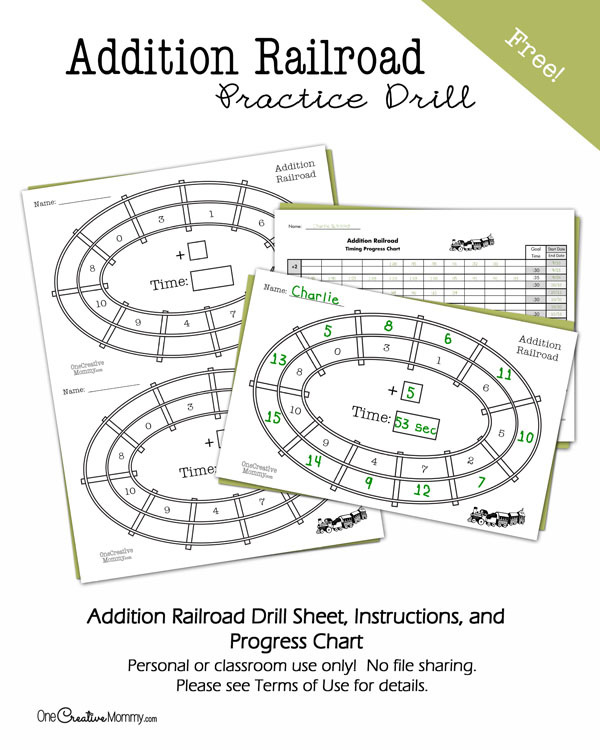 You can see all of my educational downloads in my Education Station Shop on TeachersNotebook.com. Thanks for visiting my site. I hope you enjoy your download. Before you leave, be sure to check out my other educational products. You might also like some of these math ideas. The images below are linked to posts. Click on the image to visit the post. I would really LOVE to use this creative multiplication packet but the email doesn’t seem to show up in my email box from your website. Is there any way you could email it to me? Thanks so much for your ingenuity and creativity! 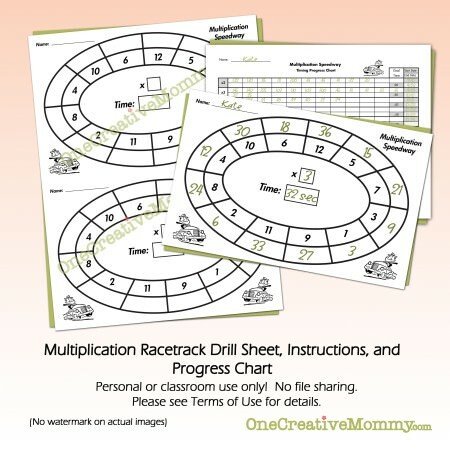 Is the multiplication speedway drill set still available? 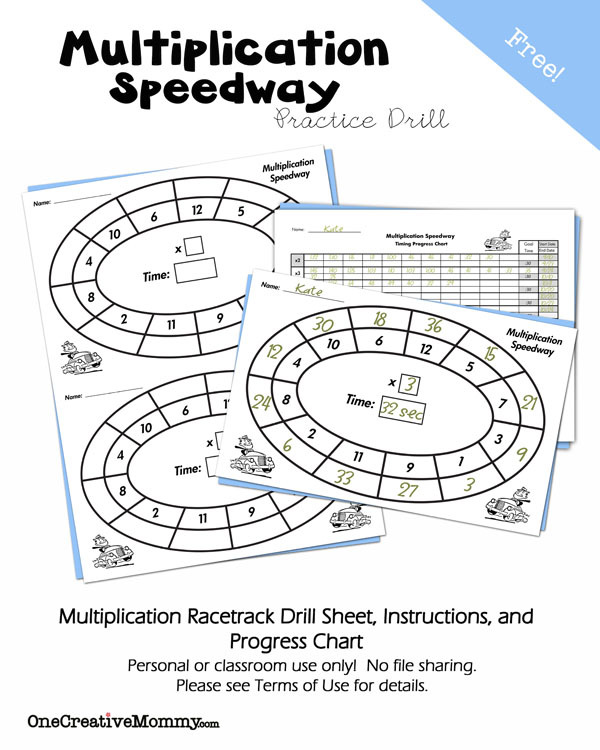 I came across this blog post from pinterest but when I click on the download button it takes me to TeachersNotebook.com but it does not link directly to the multiplication speedway. I have tried to search for your shop and for the multiplication speedway on that website and it does not come up that way either. 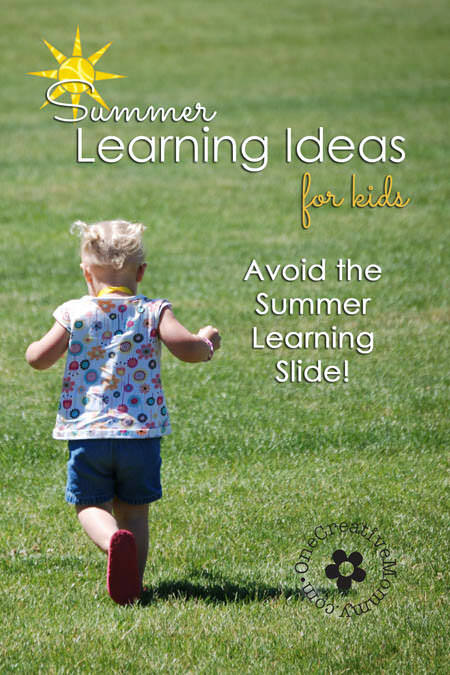 It looks like a fun resource and I would love to try it with my boys. Thank you. I’m so sorry, Emily. It looks like Teacher’s Notebook made some changes that broke the links. They are now fixed. The download is still available, and you may find some other things you’ll like, too! Clicking the download image will take you to the page with the free racetrack download. Clicking the link to Teachers Notebook will take you to my store. 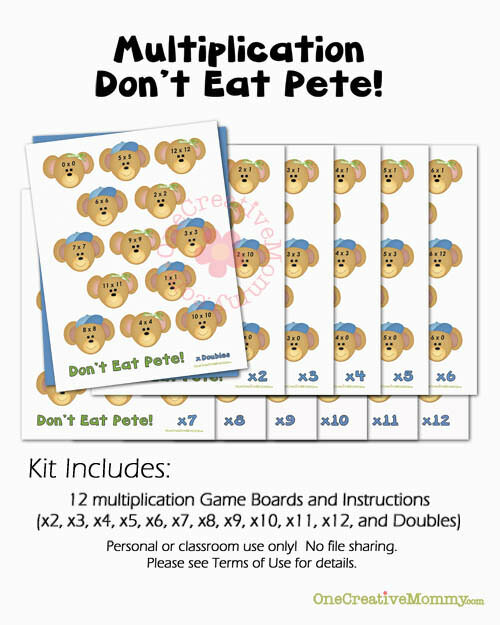 Your boys might like Multiplication Don’t Eat Pete, too. Have fun! Hi! I downloaded the multipication speedway game, but the open spaces for the answers are printed on the inside of the track instead of the outside like the picture shows. Do you have another PDF for the correct format of the game you could send me? Wow. You’re right, Amy. I have no idea when or how that got switched. Unfortunately, I am in the middle of a cross country move right now, so I won’t be able to fix that for a while. Hopefully your kids or students will be able to use it the way it is. Or, I suggest using white out and fixing it temporarily. Just make copies of your fixed sheet.